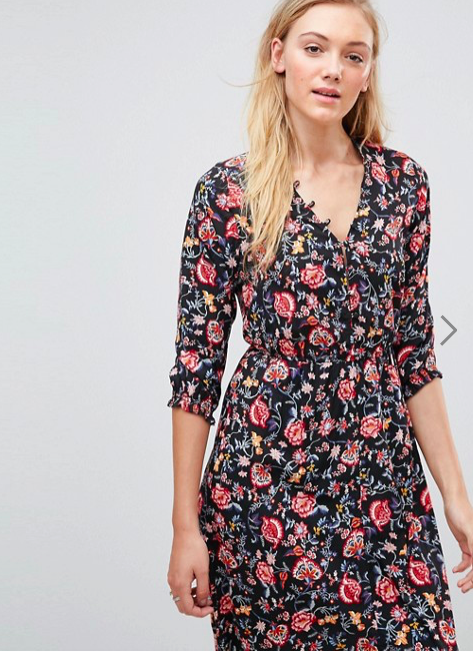 Is it just me or are so many of the midi dresses in the shops at the moment just a little bit too short? 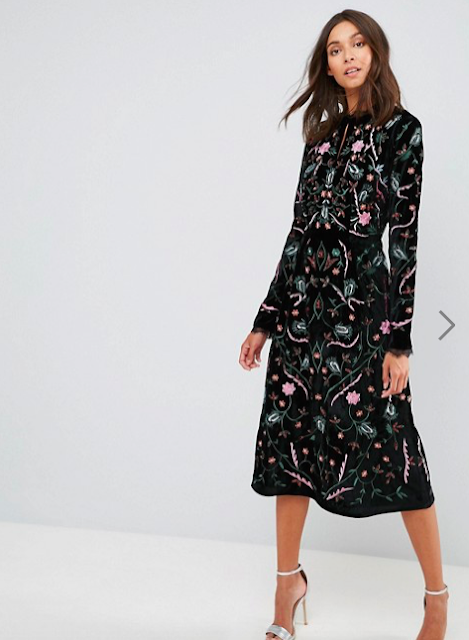 I'm struggling to find a more 'maxi' midi....if that makes sense? To illustrate what I mean, here I am in the kind of midi length dress I want. It's one I got before Christmas in Lurgan boutique, Alana Interiors and the length is just right - midway between midi and maxi. With an ankle boot, it makes for a great transitional piece. But I digress...back to maxi-midi's and the first contender I've found is this amazing one from French Connection that Pippa O'Connor had on at one of her roadshows a couple of weekends ago. It's been in my basket since I saw it on her. It's the most perfect shirt style design for getting maximum wear as you can wear it as a dress, opened partly with jeans or denim shorts underneath, or opened fully and worn as a long kimono. Endless possibilities. Yeah, it's the price that's putting me off...pretty steep for French Connection so I don't expect it to sell out super fast. I'm watching it on the House of Fraser site as they often have brand events so I'm more likely to get a 20% off there than on the FC site itself. But I was keen to explore more affordable options elsewhere and I remembered that ASOS do a Tall range. My thinking is if the models are 5'11", then a midi length on them is going to fall 4 inches longer on my leg. Genius? I'm going to order a couple of the ones I shared above and I'll update this post when I've tried them on. 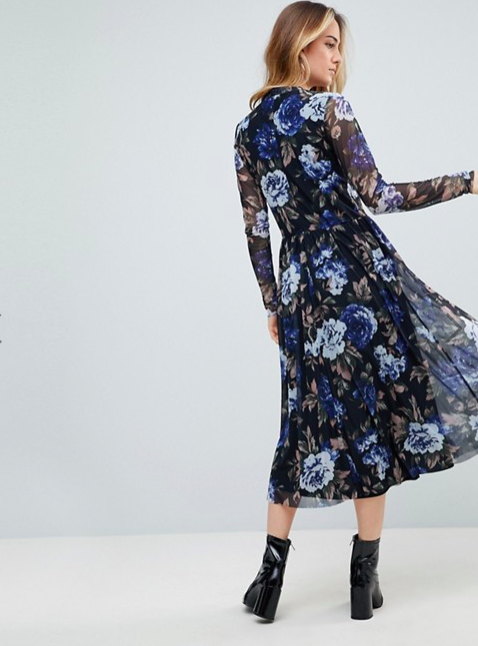 It's worth a go to get the maxi midi length I'm seeking but in the meantime, if you've seen anything that little bit longer in the shops, please let me know! Disclaimer - some of the links above are affiliate links which means that the website knows that you came from here and will pay me a tiny commission (typically 3-4%) should you buy and keep the item. Feel free to google the items to avoid this but don't click on a shopping or 'ad' link on google or you'll just be giving them the commission!